Comparing almost every Sitting vs Standing experiences, Standing feels more immersive than sitting. This ties in with room scale tracking, because when you stand, you will most likely lean and step around your playspace. Design your experience around the freedom that your user has to move around. This isn’t to say that sitting experiences aren’t immersive, but I believe they lack somewhat in Immersion. Some experiences are entirely designed for sitting and cockpit views, butconsider giving the user the ability to stand up and walk around their cockpit (ala Elite Dangerous on Vive). However, if your system limits you to sitting experiences, then make sure the hands in the cockpit match where the user’s hands are. Your hands (or something in your hands) need to be in the experience with you. This is a must at this point. You really see this necessity when you give someone their first VR experience, they look down and say, “Huh, I don’t have hands or legs. Weird”. Don’t break people’s potential for feeling presence by not providing one of the basic tools that they need. Hands are the most dextrous part of the body. They’re an extension of the consciousness. They often reveal things about the self (mood, feeling, intention, desire, etc) often without consious thought. Human are curious creatures, let them poke around and impress them with your physics engine! There’s almost nothing like standing face to face with an avatar that moves how a human does. Your brain is always looking for patterns and social interactions. It’s incredibly receptive to social cues. An unexpected result of accurate and fast Head Tracking is the ability to convince the user that a robotic avatar is actually embodied by a real person. This one came as a surprise to me, because I didn’t understand the appeal of Social VR at first. 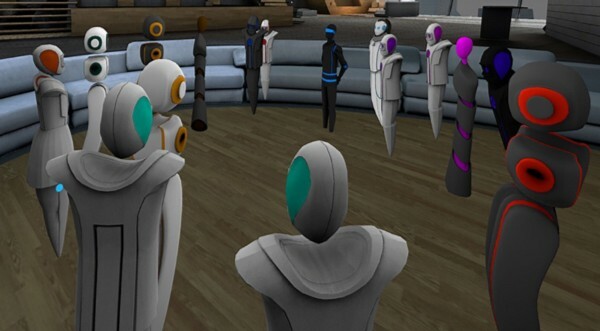 My most immersive experience happened in AltspaceVR using a Vive by standing face to face with a woman and interacting for a few minutes. It was such a simple experience, but when Bruce Wooden from Altspace pulled the HMD off my face, he unplugged me from the matrix. The reason for that is because all three of the Presence Guidelines mentioned above were executed perfectly. I entered the world standing up, realizing that I can walk around the area confidently. There were others around me, so I carefully navigated my way around them, without walking through them. A woman waved to me from afar, and so I waved back. I realized that my social gestures and interactions that I’ve done since I was born translate naturally into VR. Having established a mutual attention by noticing each other’s gaze,we walked towards each other and said our greetings. I was fascinated by my first social interaction, so I waned to experiment.I stepped a little too close for comfort, which made the woman lean backwards in discomfort. I poked her with my hand, and she flinched again. 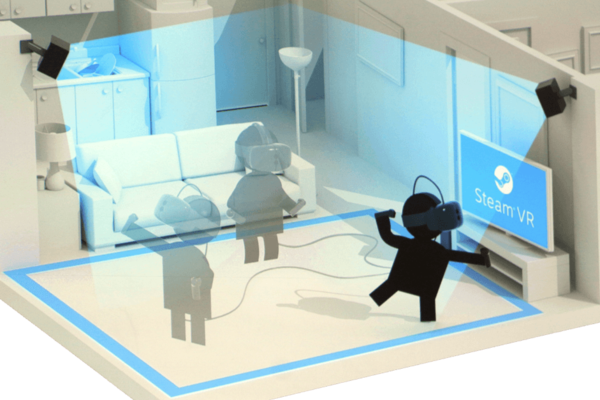 VR Harassment will be an issue, so we must design around that. This merely scratches the surface of Immersion and Presence, but it’s a good outline of three factors that completely convinced me of the experience. For more in depth discussions about VR Research with Design Implications, tune in to my podcast ResearchVR, hosted by three Cognitive Scientists and VR Researchers.